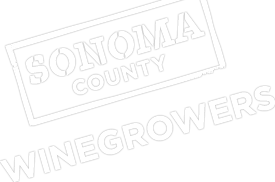 On July 9, 2018 the Board of Directors of the Sonoma County Winegrape Commission unanimously voted to approve an assessment rate of .0065 of the gross dollar value of District 3 winegrapes sold by growers to vintners. Prior to the beginning of each marketing season, the Board of Directors establishes the assessment rate for the marketing season. The assessment rate shall not exceed 1 percent of the gross dollar value of winegrapes marketed by producers to vintners. California law requires an assessment fee on all District 3 Sonoma County/Marin County winegrapes. This assessment is used to fund marketing programs that increase the value of Sonoma County winegrapes and build the Sonoma County brand, while also offering educational programs, seminars, and tools for our grape grower community. Assessments are only withheld on grapes purchased from a non-related entity or from District 3 growers who commercially sell more than 25 tons of winegrapes, however, this assessment but may still be submitted on a voluntary basis to support our programs and marketing. Please remit the assessment report forms and payment no later than January 10th, 2019. Excel reports should be emailed to [email protected]. Please do not hesitate to contact Valerie Pearce via email at [email protected] or by phone at (707) 522-5864 should you have any questions.